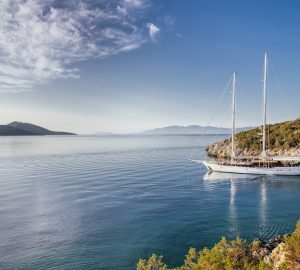 Luxury yacht ZEPHYRIA II is a ketch rigged gulet that was built in 2007 and measures 32 meters (104ft), the motor sailor is able to accommodate up to 10 guests in 5 deluxe cabins while chartering in the beautiful East Mediterranean. 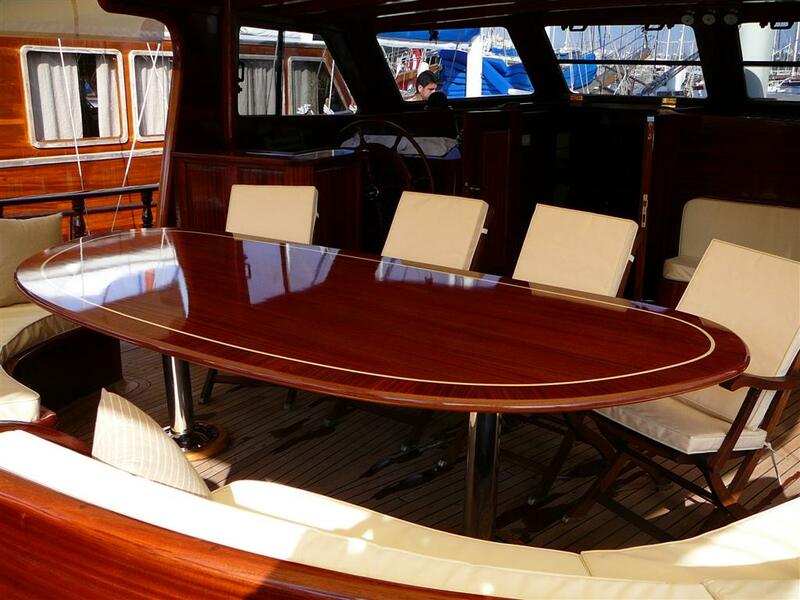 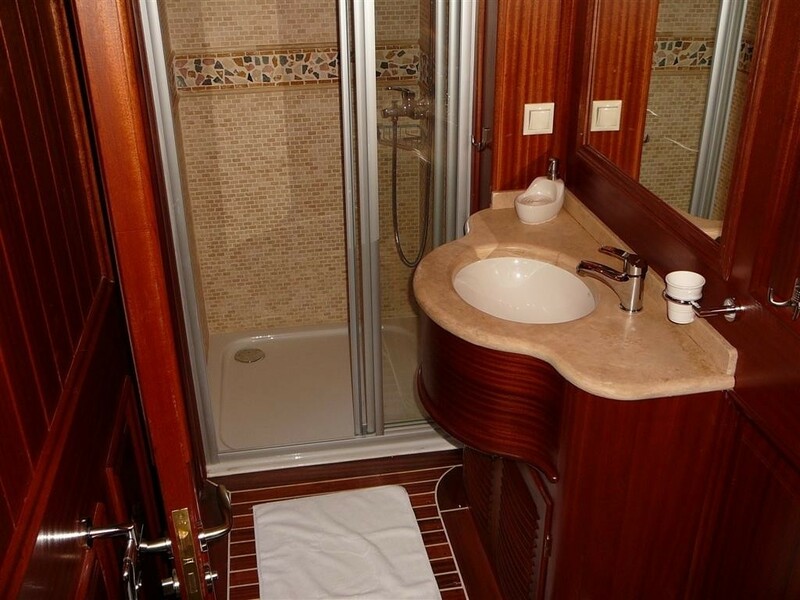 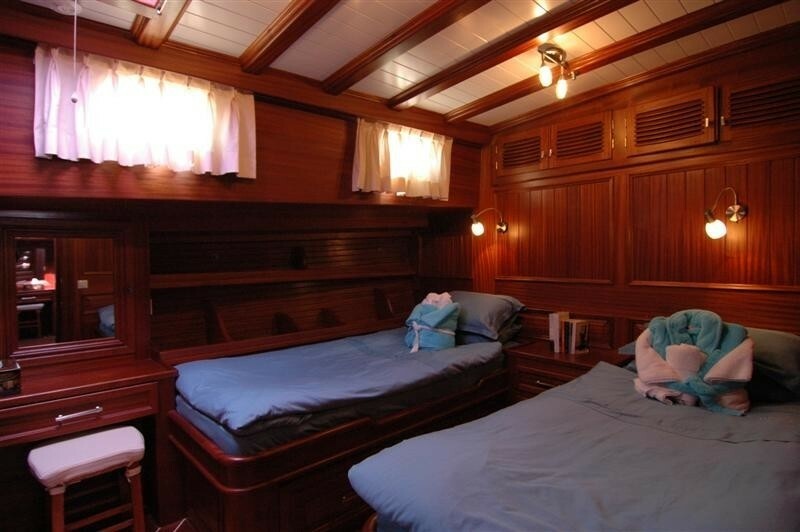 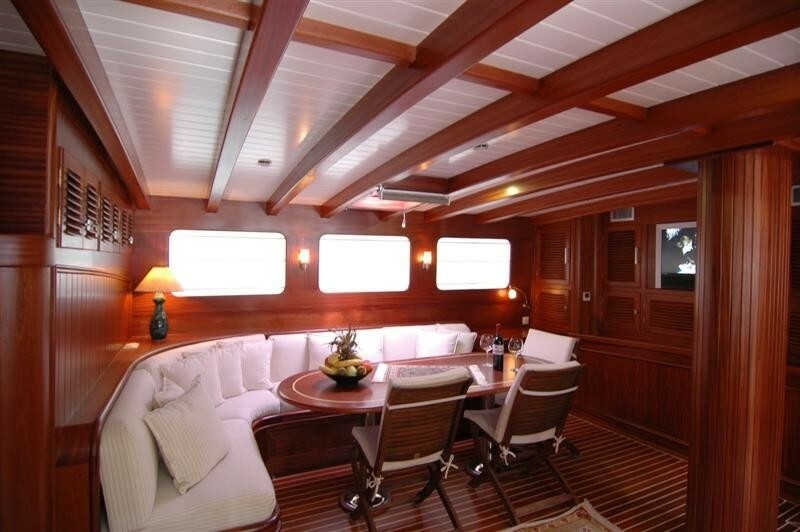 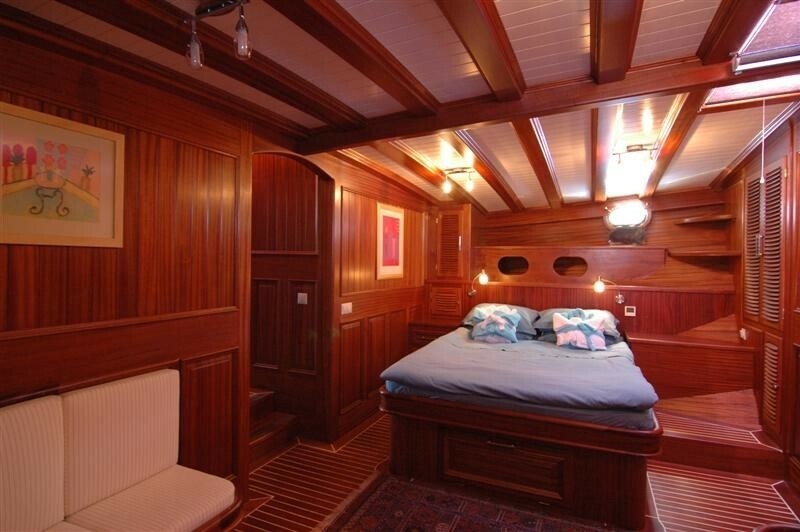 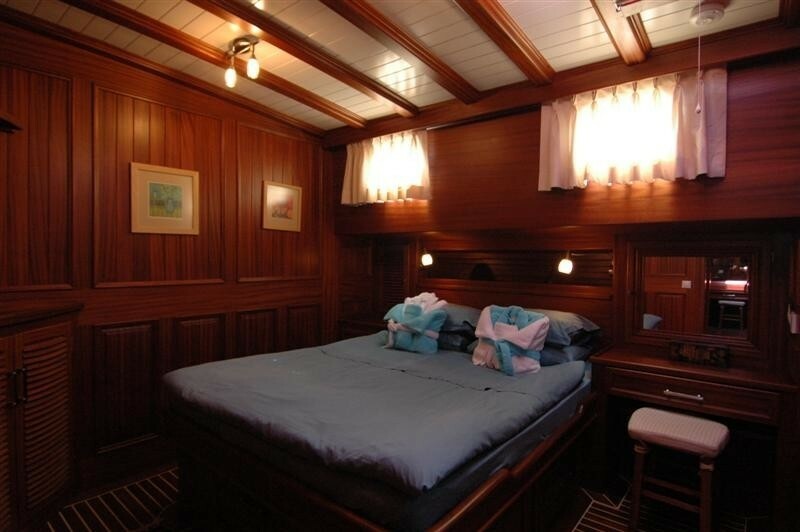 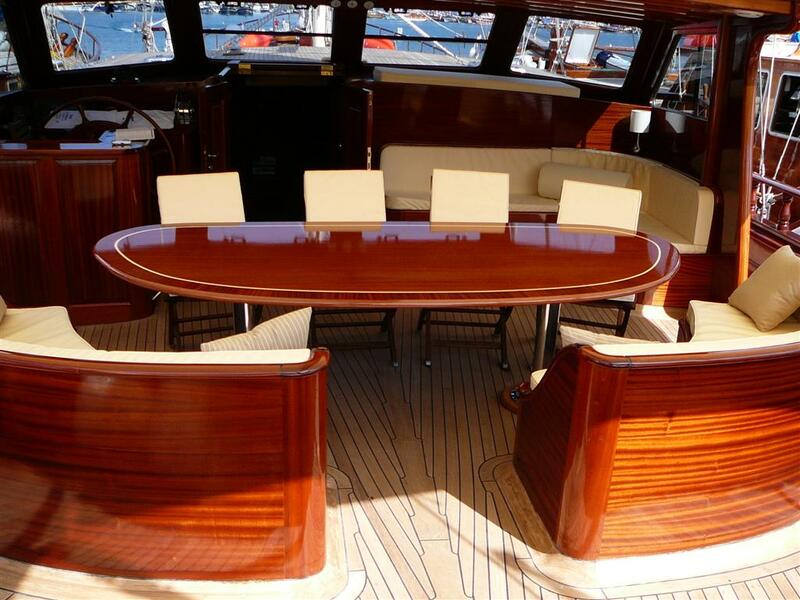 M/S ZEPHYRIA II has a refined interior of fine quality woods throughout and custom finishing’s. 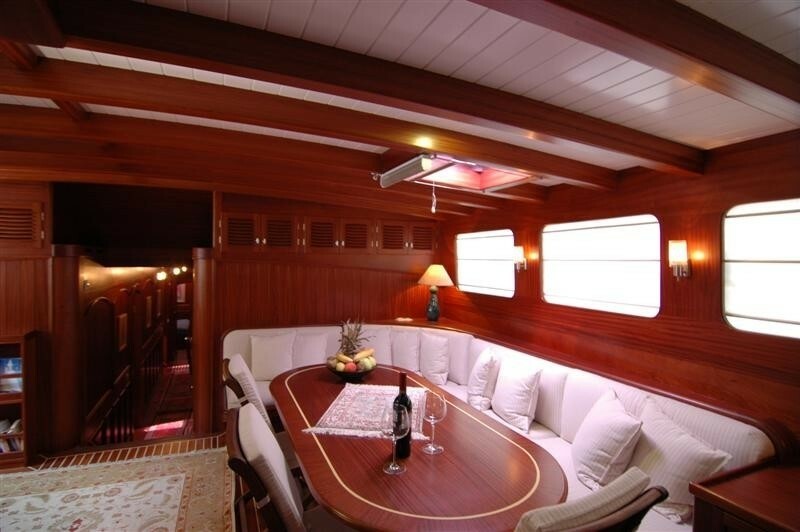 The salon and formal dining space is light thanks to the deck house large windows, crisp white soft furnishings compliment the space with an elegant feel, an oval shaped wood formal dining table sits to starboard while additional lounge space opposite creates a welcome and relaxing atmosphere. Forward of the salon and dining are the 5 en-suite cabins, each with their own TV/DVD system. 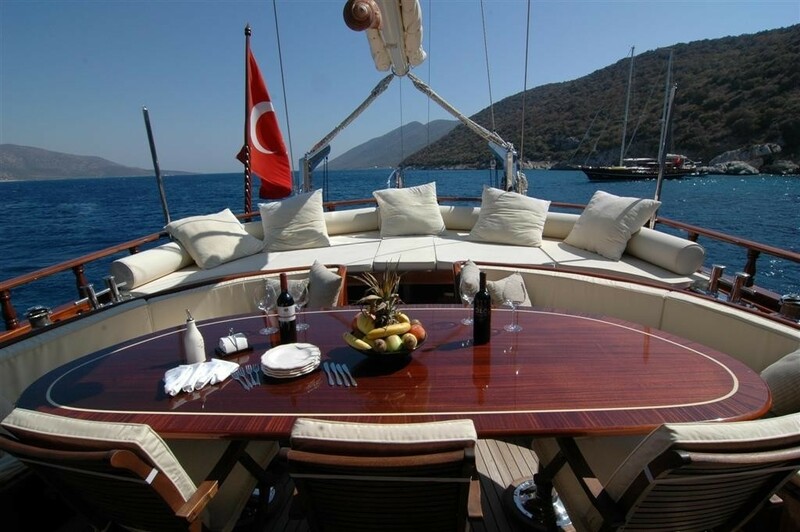 Charter yacht ZEPHYRIA II boasts plenty of deck areas to enjoy; on the aft deck the helm station is directly to port under the built in semi open wheel house with additional seating to starboard. 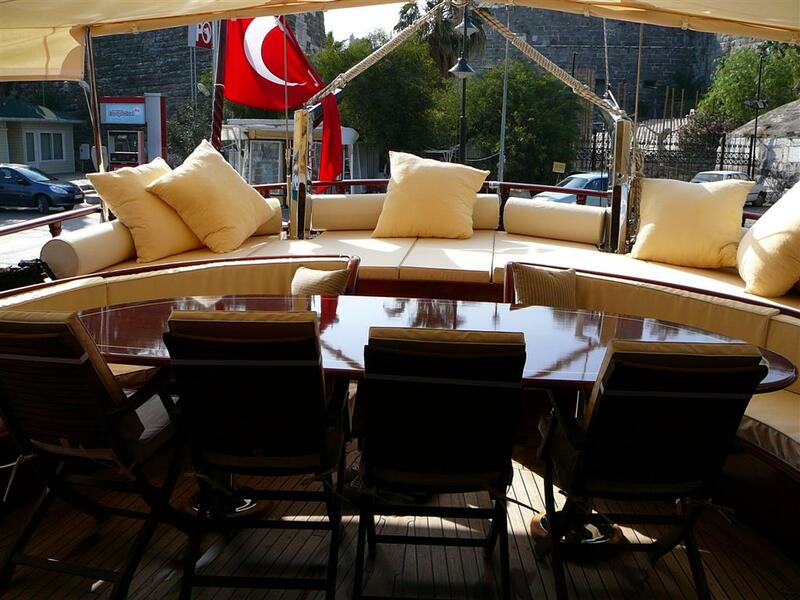 Just aft an alfresco dining option seats 10 comfortably under the stars or with an optional Bimini cover. 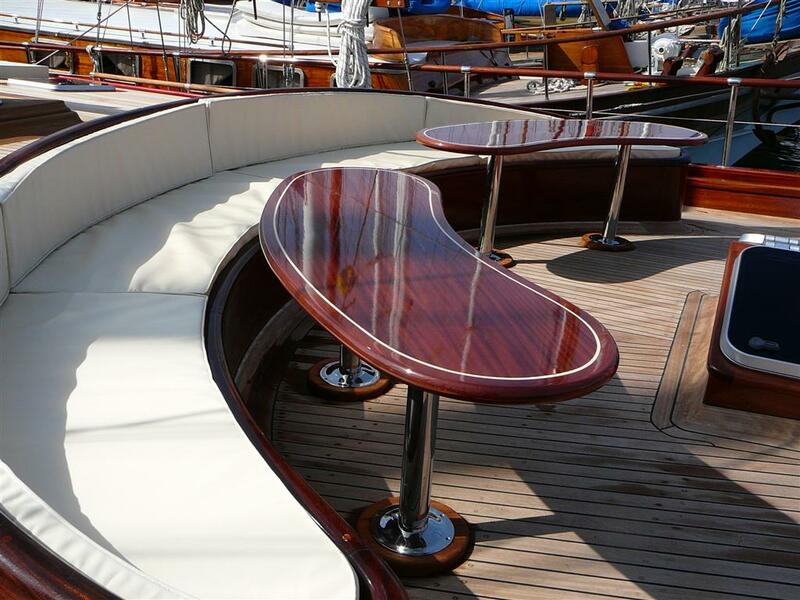 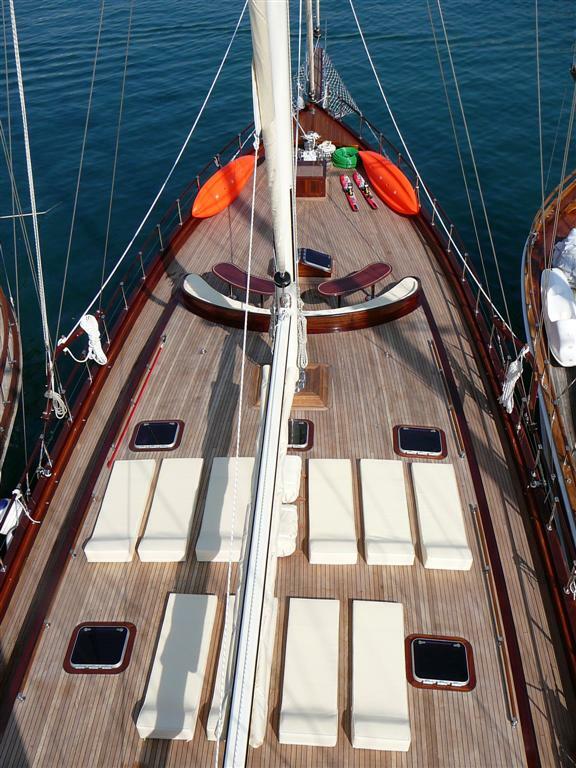 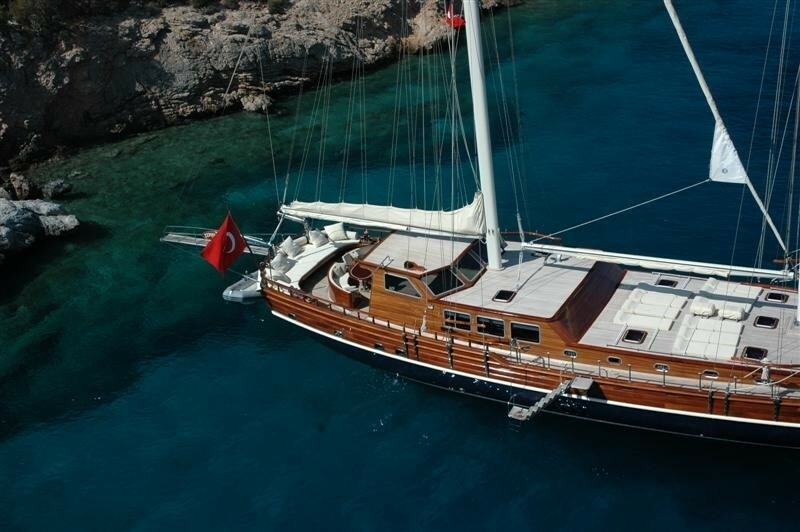 A massive full beam sunpad is offered at the stern in true gulet style. 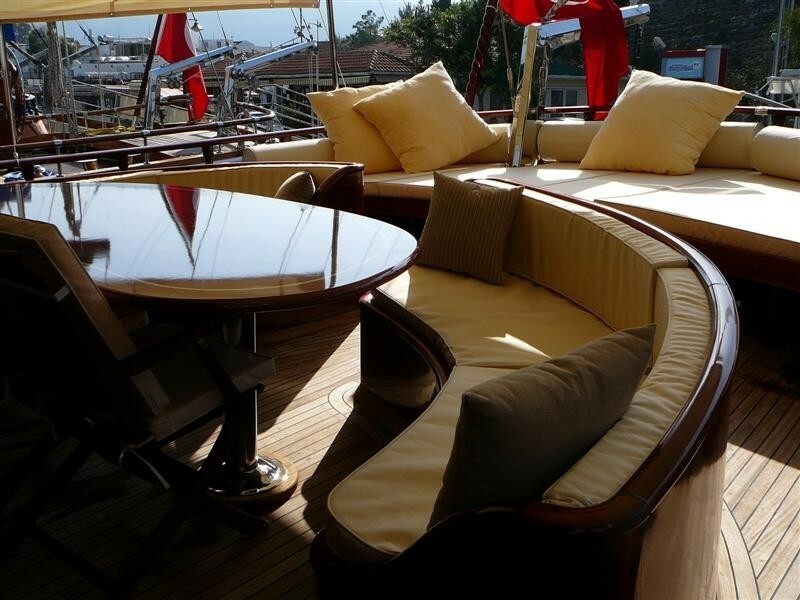 The foredeck on S/Y ZEPHYRIA II is expansive with generous lounging and sunning spots, atop the raised deck house are sunpads for each guest, further forward is the perfect place to enjoy a sundowner at the custom built semicircular cocktail tables and seating. 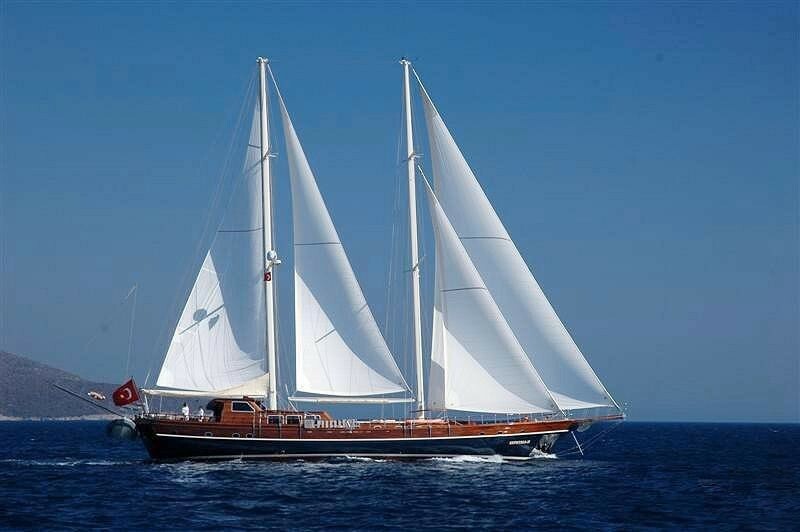 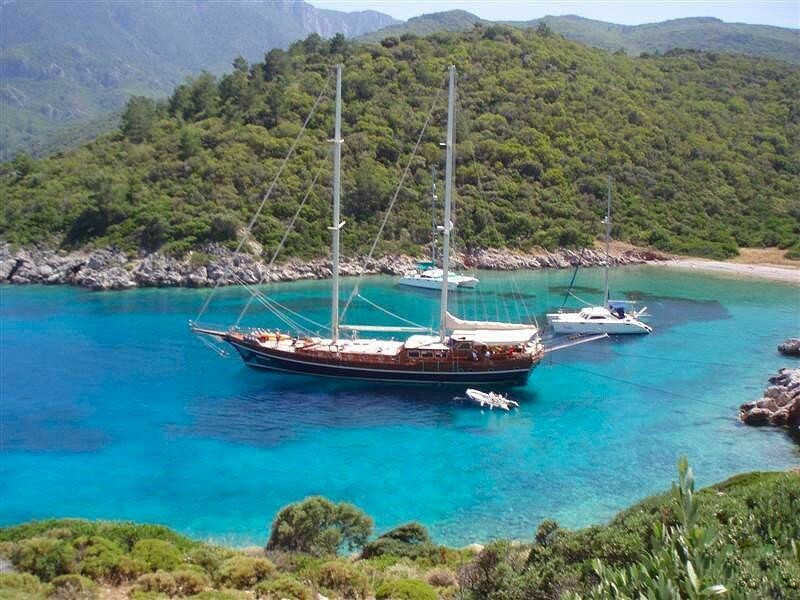 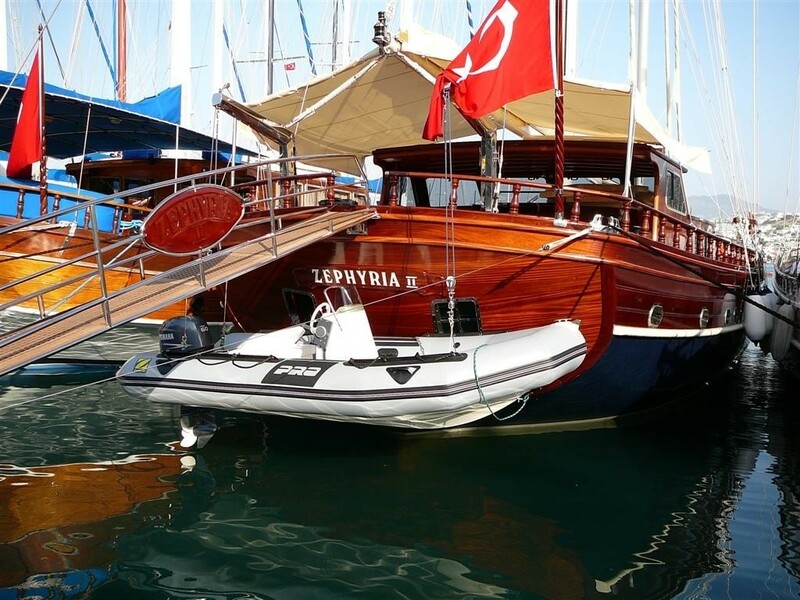 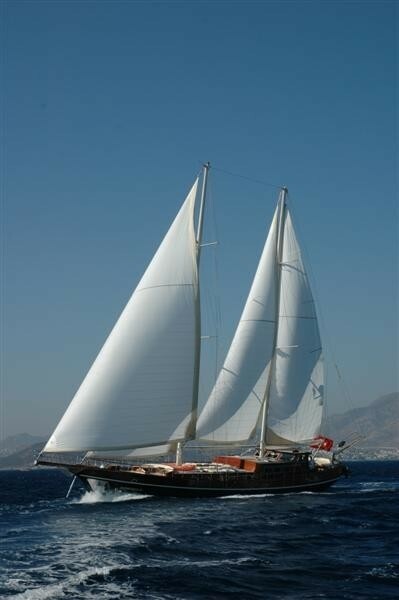 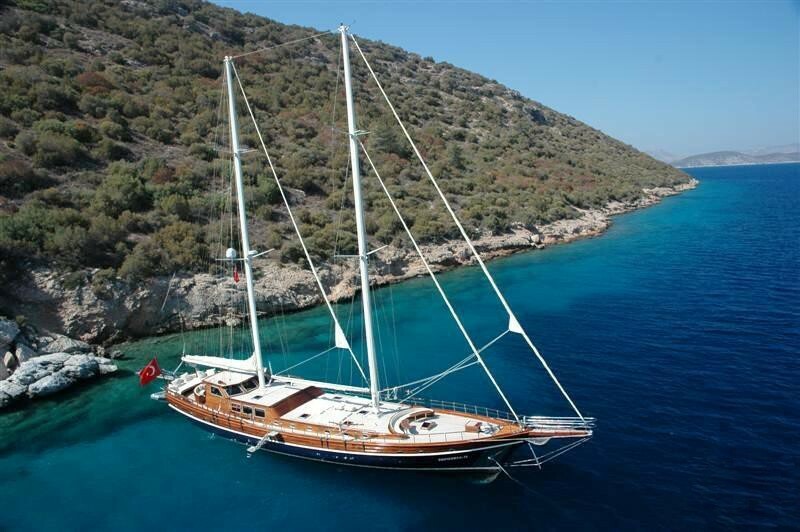 Sailing gulet ZEPHYRIA II has a beam of 7 meters (22.9ft) and cruises at up to 12 knots. 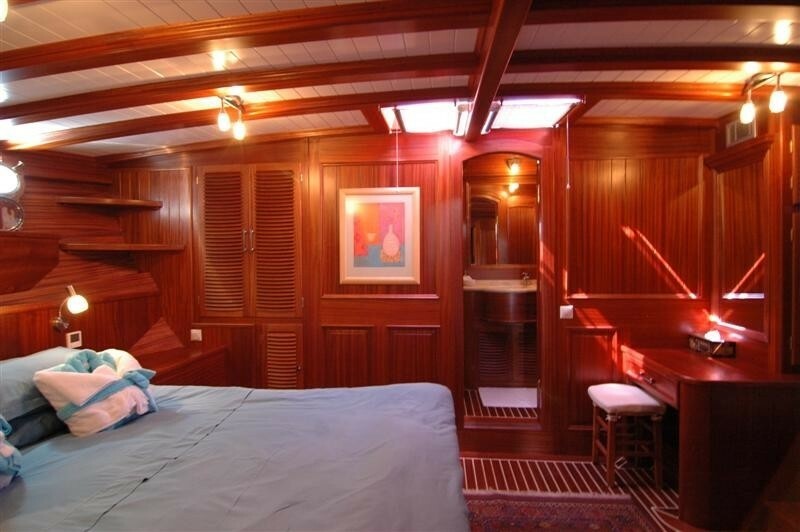 Luxury charter yacht ZEPHYRIA II can accommodate 10 guests in 5 spacious and airy cabins; the master cabin is forward and features a walk around queen size bed with love seat and en-suite facilities, just aft are the 2 twin cabins that can be converted into 2 doubles if required, a further 2 double cabins are amidships, all cabins have TV/DVD and are fully air-conditioned offering en-suite facilities with lovely natural tiled mosaic shower rooms.